Born and raised in the San Francisco Bay Area, Daniel studied art and animation at Academy of Art College, San Francisco. After submitting his portfolio three times to Pixar his break came when he was hired on as a Simulation and Effects Production Assistant on Monsters, Inc. After a lot of hard work, tenacity, and the valuable experience of learning from the amazing artists around him, Daniel made the jump from Production Assistant to artist, a transition that is not so common to come by. This role was his entry into the storied animation studio and there began an eight year period, from 2001 - 2009, working as an artist for Pixar. Designing characters and sets for films such as Ratatouille, Lifted (short), Wall-E, Up and Toy Story 3, for which he was the Character Art Director. Among the many characters he has created over the years, perhaps his most famous to date is "Lotso Huggin' Bear" (aka "Lotso") the unforgettably nasty (but wonderfully strawberry scented!) bear that he designed for Toy Story 3. 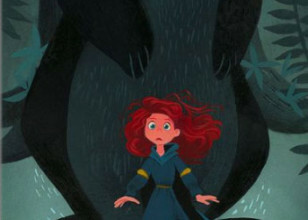 Daniel Arriaga's career took another turn in 2009 when he joined Walt Disney Feature Animation Studios as an artist in their Visual Development department. 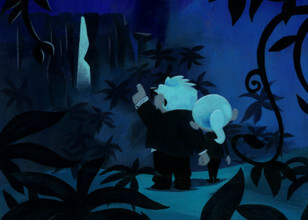 In this role, Daniel was among a team of artists who have take on the immense responsibility of pre-conceiving and concepting the visual direction and design of an animated film leading up to the final animation process, a lofty role walking in the footsteps of legendary artists such as Eyvind Earle, Mary Blair, Tyrus Wong and other legends whose visual development work a generation ago weaved the very fabric of so many Disney classics. 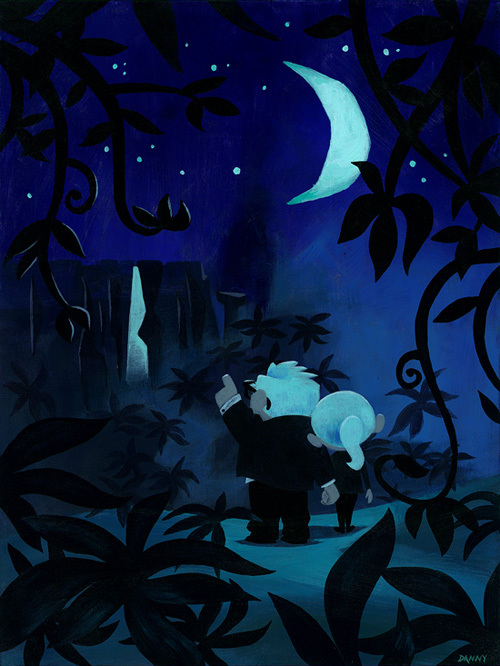 Since 2009, his visual development work has helped shape projects such as The Ballad of Nessie (an as yet unreleased short film) and Reboot Ralph, which is slating to premier in 2012. He is currently the Art Director on the soon to be released Prep and Landing 2 which will air on ABC this coming Holiday Season in 2011.